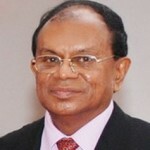 While it was scheduled to debate the 19th Amendment to the Constitution today (21) and tomorrow (22), the objective of the ugly scenes created by the Rajapaksa scums led by Wimal Weerawansa, Dinesh Gunawardena, Vasudeva Nanayakkara and Kumara Welgama yesterday was to sabotage that effort by sleeping on the floor of the Parliament, otherwise considered the august body of people’s sovereignty, until this morning and continuing their commotions and disruptions even when the parliamentary sessions commenced this morning. They tried to create a mountain out of a molehill. Although few others eventually extended some sympathy to the so-called ‘fast unto death’ in a cynical (or jovial) manner, including some ministers, typical of most of the politicians today, the initial core group consisted less than 60 disgruntled members of parliament. They very well knew that they couldn’t possibly gather the necessary numbers to defeat the 19th Amendment although there were few hurdles on the part of the government to overcome before and during the debate. If they were convinced of the arguments to defeat the Amendment, the best policy, if the word ‘policy’ has any meaning for them, was to lead the debate and show the people in the country the adverse effects of the Amendment, if there were any. The plain truth was that except perhaps one or two there were no others to conduct such an informed debate in Parliament from the Rajapaksa scums. 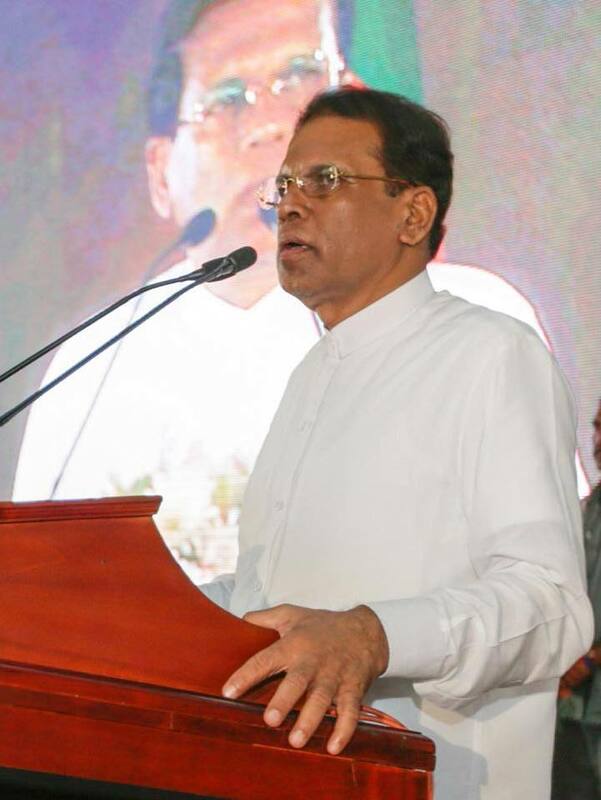 As the leader of the SLFP, it was clear that the President Sirisena could have ultimately managed to gather the necessary numbers in Parliament to pass the 19th Amendment, although it would not have been completely on rational grounds. The strength of the President, or any president for that matter, is not rationality, but mere submissiveness for authority on the part of many MPs, politicians and people at large in the country. This is the legacy of the pre-modern feudal political past which was in fact strengthened during the colonial period in a contradictory manner. Merely by changing the presidential system, this obnoxious political culture cannot completely be changed, but mitigated to a great extent. The ‘hero worship’ of Mahinda Rajapaksa is also a part of this legacy, combined with archaic ethno nationalism. The protest or the ‘fast unto death’ by potbellied MPs was merely a molehill. There is a valid corruption issue against the former president Mahinda Rajapaksa over his appointment of Tissa Attanayake as a minister, under the election laws, after the announcement of presidential elections. It is a blatant corrupt practice. The question of whether the president’s immunity prevents him from wrong doing in this regard is not a matter for those MPs to decide. 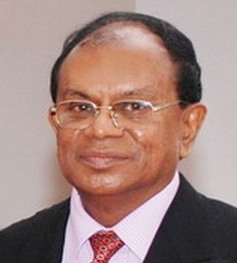 If they had any valid concern about the way the former president was summoned before the Bribery Commission, it is a matter those MPs could have raised with the Commission through the Speaker or refer the matter to the present President or the Prime Minister for some redress. That is how the matter has also been finally settled. What this episode shows is the futility of any longer relying on the present parliament or its dubious members to implement democratic change including the 19th Amendment based on the people’s mandate of the presidential elections. However, it is completely correct for the President or the Prime Minister or the government to try their level best to do whatever possible under the circumstances within the 100 days or the stipulated time frame. In the case of the President, he has gone even far too much in accommodating some of the most unreliable and even suspected corrupt elements within the cabinet in trying to achieve these common objectives. It is also commendable on the part of the drafters, interested groups and the civil society organizations to pool their best knowledge and efforts to sort out intricate drafting problems of the 19th Amendment with patience and tenacity. However, it is futile any longer to rely on the present Parliament or its dubious MPs to implement the 19th Amendment or any rational electoral reforms. Although not on the scheduled date of 21st January, the government was in a position to begin the process of constitutional reforms primarily aiming at reforming or abolishing the authoritarian executive presidential system. The 19th Amendment is the result of this commendable effort whatever the attendant weaknesses. According to the 100 Days Program, the task of Monday the 20th April or yesterday was the following. After one sabotage after the other, at least the debate on the subject of the 19th Amendment should have been commenced today. Instead, the Rajapaksa scums started their protest yesterday continuing until today, which has naturally led to the postponement of Parliament until the 27th of April. The best option now is to dissolve the existing Parliament which has largely been a corrupt and a deformed institution as a result of particularly the Rajapaksa administration. Merely by defeating Mahinda Rajapaksa, as the past president, or Maithripala Sirisena becoming the new President of the country, or the SLFP, the situation has not automatically changed. What is now necessary is a New Parliament. That might paved the way for a New Constitution with all the noble objectives of abolishing the executive presidential system and paving the way forward for democracy, reconciliation, proper economic development and good governance. The President Sirisena should now fulfil his last promise of his 100 Days Program which was as follows. “Thursday April 23 Parliament will be dissolved and free and fair elections held under a caretaker government. Following that election, the Prime Minister will be appointed from the party getting the highest number of seats at such election, with a Deputy Prime Minister from the party getting the next highest number. A National Government of all parties represented in Parliament will be established to govern for a period of at least two years. The President could, as required by the Constitution, appoint a new PM who commands the biggest power block in Parliament. He could be rid of the present PM the same way he got rid of the previous one. This is the best option for the President. Then there is enough time for consultation and public to be educated on the new constitution to be proposed abolishing the executive presidency and the new electoral system, pass the required legislation and have the general election as scheduled in April 2016. There is no point in haggling over piecemeal solutions. Why cannot our govt and opposition think clearly on these lines without putting this country in a mess?